The national language is Bhutanese (Dzongkha), one of 53 languages in the Tibetan language family. The script, here called Chhokey (“Dharma Language”), is identical to classical Tibetan. In the schools English is the medium of instruction and Dzongkha is taught as the national language. Ethnologue lists 24 languages currently spoken in Bhutan, all of them in the Tibeto-Burman family, except Nepali, an Indo-Aryan language. Until the 1980s, the government sponsored the teaching of Nepali in schools in Southern Bhutan. However, after the armed uprising in the south, Nepali was dropped from the curriculum. The languages of Bhutan are still not well-characterized, and several have yet to be recorded in an in-depth academic grammar. Before the 1980s, the Lhotshampa (Nepali-speaking community), mainly based in southern Bhutan, constituted approximately 30% of the population. 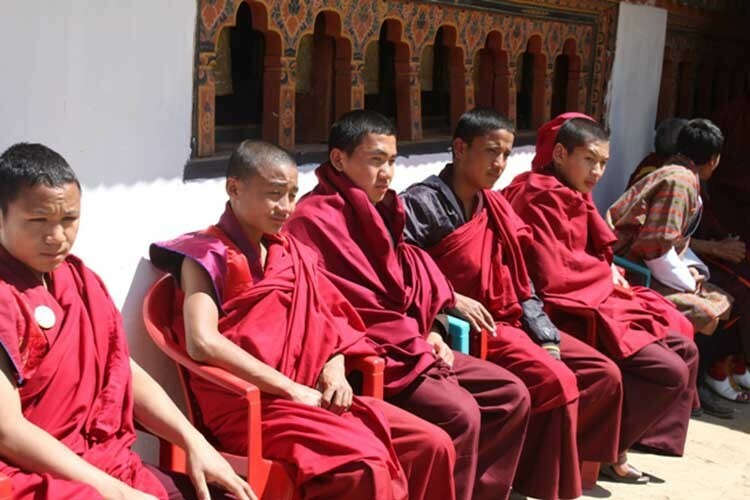 Dzongkha is partially intelligible with Sikkimese and spoken natively by 25% of the population.Tshangla, the language of the Sharchop and the principal pre-Tibetan language of Bhutan, is spoken by a greater number of people. It is not easily classified and may constitute an independent branch of Tibeto-Burman. Nepali speakers constituted some 40% of the population as of 2006. The larger minority languages are Dzala (11%), Limbu (10%, immigrant), and Kheng (8%). There are no reliable sources for the ethnic or linguistic composition of Bhutan, so these numbers do not add up to 100%.